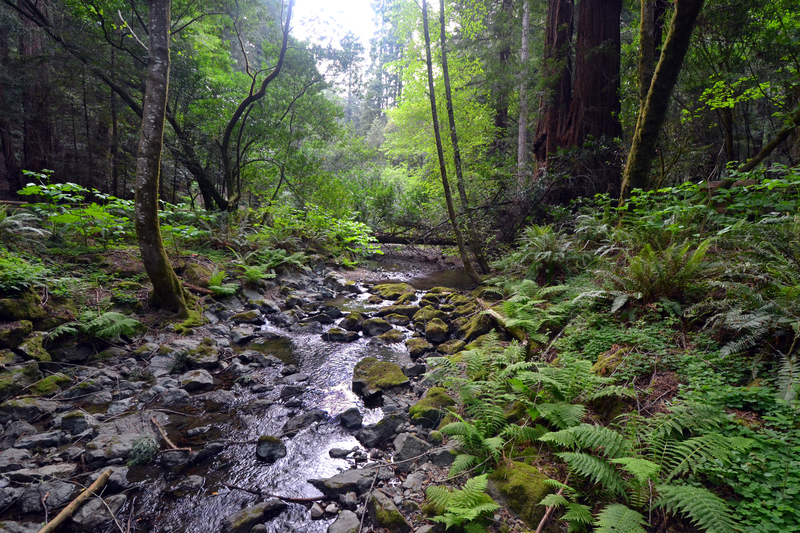 MUIR WOODS, CALIFORNIA: This National Monument park is a great place to see giant redwood trees. The park is named after John Muir, a Scot whose family moved to Wisconsin in 1848. He became one of America’s best known environmentalists and fought hard to protect many important natural heritage areas including Yosemite, Sequoia and even the Grand Canyon. The park is a short drive from San Francisco and probably the closest location to see giant redwoods. This photo was taken from a footbridge. To get the perspective I wanted, I mounted my camera on a monopod, set the 10 second timer and hung the unit as far below the bridge as I could reach. Got a lot of stares from other visitors too! “PAINTED LADIES” VICTORIAN HOMES, SAN FRANCISCO: This photo is posted in response to questions about other shots I might have of these famous homes after a post a couple of weeks ago. The houses are on Steiner Street. Some call it “Postcard Row.” And yes, “Full House” fans, these are the houses in the opening credits of that series and Alamo Square (or Park) is where they are having a picnic. CABLE CAR, SAN FRANCISCO: When you think of San Francisco, the cable car quickly comes to mind as a strong symbol of the City by the Bay. The first cable car went into service in 1873. Andrew Hallidie is credited with the invention of the cable car after he witnessed a heavy carriage roll down a steep San Francisco street. Cable cars have no engine. They only move with the help of cables on a pulley system beneath the street. The speed is a constant 9.5 mph. To stop a car, the conductor disengages the ‘gripper’ to unlatch the car from the cable, apply a brake and bring the car to a stop. This cable car was photographed on California Street, just uphill from the Omni Hotel– one of the nicest hotels in the city. At many intersections, like this one, the cable cars pop into the sunlight briefly as they emerge from the shadows cast by buildings along the street. Shot handheld with a Nikon D300, Nikkor AFS-S 70-300mm lens at 300mm, 1/800 sec., f22, ISO 800. “PAINTED LADIES” VICTORIAN HOMES, SAN FRANCISCO: Across from Alamo Square Park in San Francisco is a spectacular row of Victorian houses on Steiner Street. Some call it “Postcard Row.” For the owners, it must be a mixed blessing. For despite their charm, they attract tourists by the busload through the narrow streets of this tony community. These homes were built between 1892 and 1896 by Matthew Kavanaugh. The homes are reputed to have appeared about 70 movies, TV programs and advertisements.